The website contains all the essential info you need and the bidet seat was easy to order on-line and arrived bang on time. Lucas is straightforward to deal with and immediately refunded unnecessary items ordered which were already included in the price. His customer service and product knowledge from beginning to end is excellent - on a parr with John Lewis standards and he was able to give very specific advise tailored to our needs and answered all our queries. The bidet seat was purchased for an elderly disabled lady who is left-handed so she cannot use a right-handed control unit. She visited the showroom to check she could operate the hand-held remote which was fine. Lucas also put us in touch with an experienced fitter who was extremely competent, efficient, polite and reasonably priced and did a very tidy job in about 3 hours. The bidet seat works perfectly and does everything is says it does. I wouldn't hesitate to recommend this product and this supplier. I will definitely return to this firm for future needs and am well impressed with our entire customer experience. 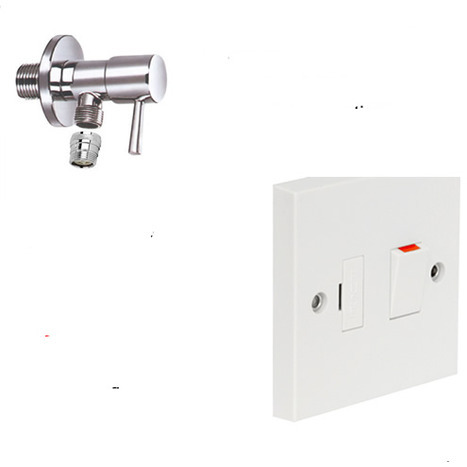 These parts I believe are essential and are good quality, and made the plumber/electricians job easier. CXN-1000 Connection kit for electronic bidet. 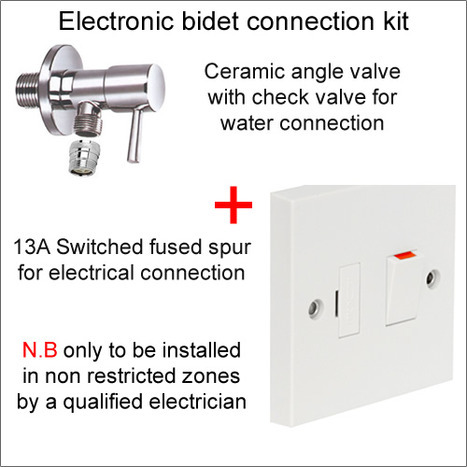 Consist of a 1/4 turn ceramic angle valve with single check valve for WRAS compliant water connection to the seat and a 13A non switched fused spur for achieving a United Kingdom compliant electrical connection to the seat in a bathroom or toilet. Note: In the United Kingdom all electrical installations must be completed by a part P qualified electrician for safety and compliance. Postage is free with n U.K.